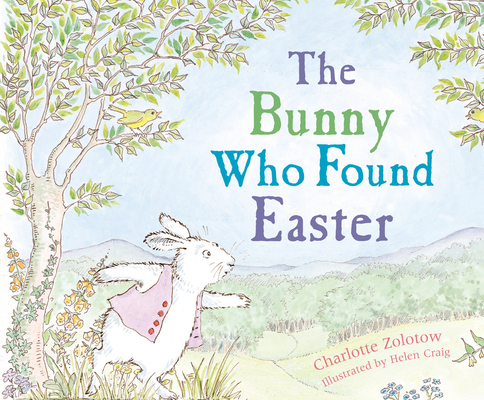 Charlotte Zolotow's The Bunny Who Found Easter has delighted generations of readers. A lonely bunny goes hunting for Easter, where he hopes to find other bunnies. His search takes him through the seasons, but only in the spring does he find the true meaning of Easter. To this heartwarming story Helen Craig has lent her own original interpretation. As multiple stories unfold in each piece of art, viewer and reader are drawn into the poetic, song-filled text. This new rendition of an old classic is sure to charm readers young and old. Charlotte Zolotow was a legendary children’s book editor and author. She wrote more than seventy picture books for children in her lifetime. Helen Craig has illustrated more than sixty books for children, including the Angelina Ballerina books. She lives in England.